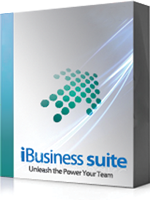 iBusiness Suite - CRM Module is a unique product from INI Technologies, which enables the fully streamlined functioning of all processes in the Customer Relationship Management. Help Desk Management module submits trouble tickets (form-based support requests) through your website. Help desk representatives can also raise the ticket on behalf of the customer. As a result, you can ensure multiple modes of ticket raising i.e via phone or from the website . Help Desk Management software is a tracking tool that enables your team to track, route and manage customer support requests. As a result, your organization can provide efficient and superior service, with increased customer satisfaction and retain satisfied and loyal customers. Trouble Ticket Numbering : Our solution will create unique ticket numbers for the complaints/trouble tickets. Multi-Category External User Support: iBusiness suite CRM, support multi-category of users. Provision for Categorizing: Severity/ Priority can be tagged with each ticket. 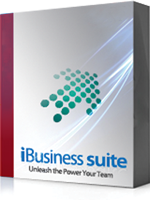 Communication Instruments: iBusiness suite CRM Software is has a provision for multiple modes of communication like E-mail/ mail/ SMS Alerts etc. Complaint History : With the application, you can get the complete case history of each customer issues like observations, actions taken, complaint status against each complaint, pending work status etc. And also can identify frequent failure points. Account & Contact Management: Can easily maintain cards /contact information in a categorized manner.